Our specialist hospitality executive coaching and training can be delivered on-site anywhere in South Asia and South East Asian countries! Customer orientation, team work, handling pressure, self management and more are the key drivers of success for any individual working in the hospitality industry. This means that the key driver for success of any organisation has to be in its people, and the consistent ability to measure and evaluate these qualities ‘objectively' through tried and tested assessments. We offer group training, one-to-one training, workshops and master classes to assist new and established hoteliers and independent wedding industry businesses. Hospitality employee work ethic, workplace behaviours, and customer service aptitude is observed and monitored during assessments, and recommendations made to leverage the best out of individuals in the team. Detailed action plans and corresponding best practices methodology, tailored to your hospitality department is prioritised so you have concrete solutions to work upon. Hospitality has been benchmarked against actual performance of the staff within your organisation, and they must be accountable for delivery. The assessment results show strong correlation to performance ensuring effective prediction of performance across profiles. We want your people to become the ultimate ambassadors of hospitality, where client satisfaction is excellent not just some of the time but all of the time - that is the main driver that achieves successful growth in our industry. Hospitality is an industry based on guest experience: service, people, atmosphere and products. Do them right and customers return. Do it wrong and you won’t be in business long. The business of weddings is hospitality! Indian weddings have seen lucrative growth and it doesn’t look as though it’s going to slow down any time soon. Being part of the industry means you need to stay ahead of the game and excel at what you do. Wedding clients can be very unforgiving understandably, if you cannot reach their expectations of perfection. So the ball is firmly now in your court, on how to build a strong and viable brand within the wedding industry, that is built on undeniable trust, strong reputation and flawless delivery. Not many can achieve it alone, without a little help from insiders. 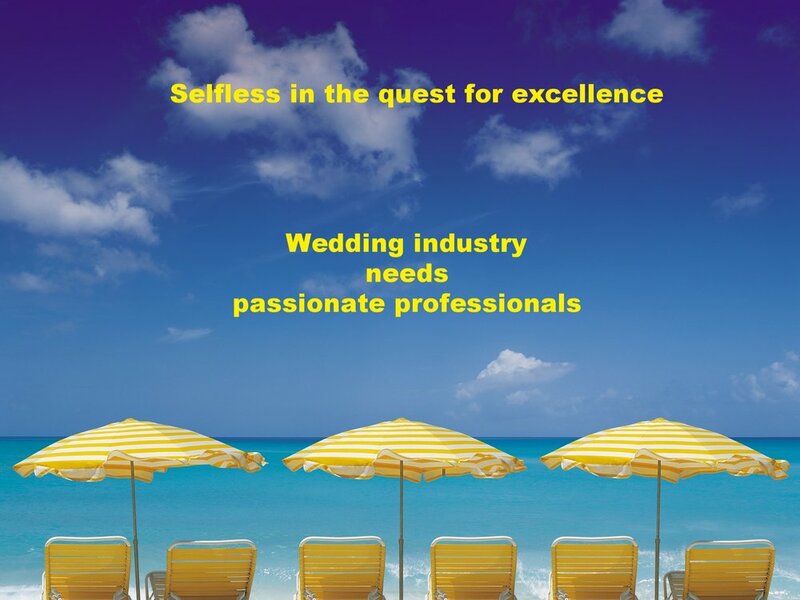 We are selfless in the quest for excellence in all areas of the wedding industry. We understand the dynamics from the mind of a bride and her family. Award-winning, Tania-Tapel is a game changer in the Indian wedding hospitality consulting sphere having been in the wedding industry for over two decades globally. Combined with in-depth experience and an approachable style, the company offers a range of hospitality consultancy services. Anyone in the hospitality industry knows its a dog-eat-dog world out there! Those entering the Indian wedding industry need a counsel that understands the marketplace better than anyone else. Tania-Tapel has a proven track record in the Indian wedding industry, and for many years provided consultation to reputed hotel groups internationally, and independent boutique hoteliers. Some past clients include Marriott Hotels, Hilton Hotels, Swallow Hotels, Devi Garh, Copthorne Hotels, and Della Group. In addition, SME businesses embarking on a journey into the Indian wedding market regularly seek consultation from Tania-Tapel as industry professional who has been at the forefront of Indian weddings internationally. From fashion and jewellery designers to photographers and caterers we have consulted to help them penetrate the market. Building lasting relationships, having healthy PR, and a dedicated team that inspires your clients is the way forward in this sensitive and emotional industry. If your business is newly entering the lucrative Indian wedding industry whatever your field - an underperforming hotel, or you’re just not hitting the right notes with the highly complex business of hosting weddings at your venue or you need expert guidance on how to win wedding business, talk to us openly - you might be pleasantly surprised! Each hotelier and business comes with it’s own needs, we customise to provide you with solutions to be in the market prepared, and create a reputable go-to brand.